It’s that time of the year again, where jingle bells ring, carolers sing and people pull their hair out trying to find that perfect, unique, Christmas gift for their loved ones. So to help ease the struggle and prevent early balding, we here at “Antiquing We Go” have compiled a list of ideas for ten types of people. No worries about price because we have included ideas for every budget. From DIY to awesome finds at your local antique shop or flea market you’re sure to find an extraordinary gift on our list. We have 103 Shops in 47 Towns in the Southwest, Central and Southeast Missouri areas. We’re sure you can find all that you need for Christmas in one of the many “Antiquing We Go” shops! Do you have someone on your christmas list who is subscribed to all the hottest design blogs? Also is it normal to look out your window to see this person rummaging through your trash, “Dumpster Diving”, to repurpose items, while having your morning coffee. Seems like someone on your list? Then this section is for you. Home decor is a great gift for your design oriented friend or family member. 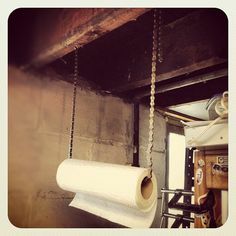 Repurposed items are the hot thing for any DIY junkie, from DIY beginner to full on DIY expert we have projects to fit any expertise or budget. 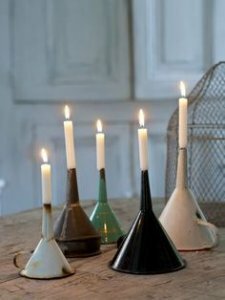 Antique funnels make unique candle holders. Find metal funnels, furthermore you can shabby chic, or age them if you wish. Flip them upside down so the wide part is on the table and place a skinny candle in the end. Also you may have to trim a little bit of the candle end in order to fit the candle in the funnel. If you type in mattress springs on Pinterest you will find thousands of creative ideas. 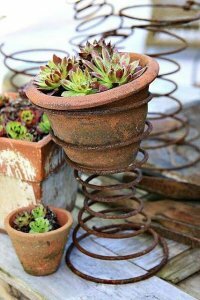 One fun idea is to place a potted plant in the end of the spring as a holder rather than throwing the spring out. Place the widest side down and put a small pot in the top section the spring. It’s a great idea for the green thumbed person in your life. Mail boxes are an item most people don’t think to repurpose. 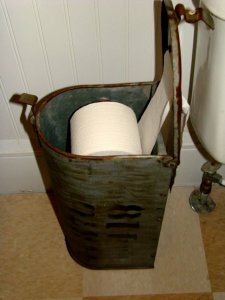 If the person on your list has a country feel to their home, a mail box toilet paper holder might be the perfect idea because who doesn’t need toilet paper? Take a mailbox sit it on the flat back end so the opening is facing up, drill a hole through both sides and slide a stiff rod such as a dowel rod through the holes you created. 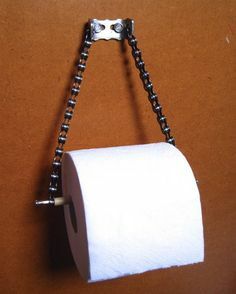 Just be sure it is large enough to hold the weight of the toilet paper, but small enough to be easy to manage. For that friend who loves the retro look or is just a music fan, a side table with a record top will be perfect. Antique shops and Flea markets always have a great selection of small side tables and records to choose from. 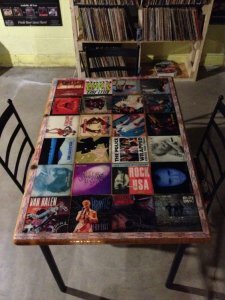 When you find the perfect table, glue the record to the top and seal it with polyurethane to waterproof. Be sure to use records especially relevant to their music taste. We all have the person who complains they never have enough space. 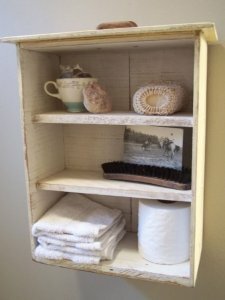 An easy solution is to get an old dresser drawer, put a piece of scrap wood in it for extra storage and you have an easy made shelf. Have you ever interrupted someone’s reading session only to have them yell “stupefy” at you (“Harry Potter”)? Have you ever been in fear for your life for interrupting someone’s reading session? Have you ever caught a friend or family member in a fictional romance with someone named Edward (“Twilight”), Rhett Butler (“Gone with The Wind”), or Heathcliff (“Wuthering Heights”)? Furthermore, do they use prestigious words such as, “most noteworthy”? If any of the above apply to you then it seems like you have book lover on your list. For the reader on your list you probably can’t go wrong with an old book. By old book I mean a book from the early 1900’s or earlier. It doesn’t matter what the subject is, a true book lover will appreciate it for its age. 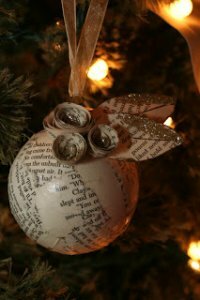 A unique Christmas gift is to create origami ornaments made from pages of their favorite book. Don’t actually tear a page out from their favorite book, due to the likely hood of early death. You can get free sample sections from most books, print that off and use those to create the ornament. Cut sections out of a thick book and use it as keepsake box. Either dictionaries or thesauruses are great to use because of their thickness. Also who is going to pull a dictionary off of the shelf to check for valuables. 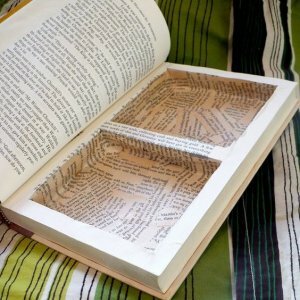 Cut a book into the shape of the first letter of their name. 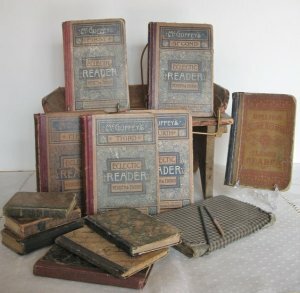 Readers Digest Condensed Books are great to use rather than an old book. Since Readers Digest Condensed Books are usually hardback and most of all easy to find. 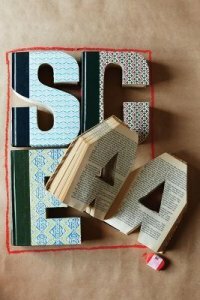 A Literal book shelf is a neat gift to wow the book lover on your list. 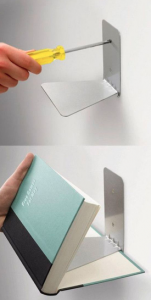 This is an easy project, just screw a mounting bracket to bottom of a book. Be sure the spine of the book is facing out. 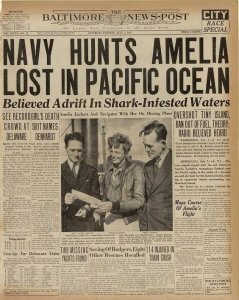 Can someone on your list tell you every single detail about almost any historic event? Do you routinely see their TV on history channel, or national geographic? You might have a history buff on your list? Old newspapers with historical significance are pretty common to find in antique stores. Any paper with a historic event would be a great gift for the historian on your list. Old school books are very interesting. It’s amazing to see the difference in thought between different historical periods. Old geography books can show the United States with less than 50 states. For example: There are old geography books that don’t show Hawaii as a state. The US didn’t always have 50 states. If you have visited an Antique shop or Flea market you have probably seen arrowheads or something similar. You might get lucky and find even rarer historic items. Old maps of locations important to the person on your list can be framed for a special momento. It can be somewhere they have been or want to travel, or even where they once lived. Pieces of local history are always neat, especially if you find an old article written about the item. For example: An old knife that was made locally. An old local newspaper article can talk about factories that have closed or special events that relate to the items. Does someone on your list routinely paint their face in the colors of their favorite team? Do they know all the stats of a particle sport or team? If so you might need a Christmas gift for a sports fan. 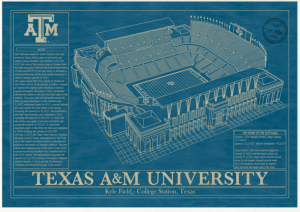 Prints or blueprints of stadiums are a neat way to showcase the home of their favorite team. 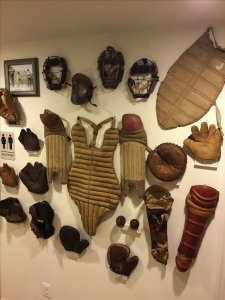 Old vintage sports balls, golf clubs, or baseball gloves are unique and each have their own story to tell. Most sports equipment can be repurposed into something amazing. 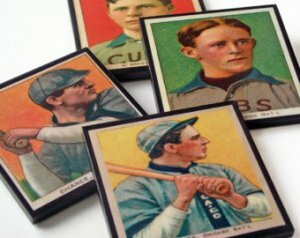 Baseball or basketball card coasters are easy to make. Take an old coaster, use decoupage to put a card of their favorite player on the coaster. Once it has dried waterproof it with something like polyurethane. Baseball cards work great and are easy to find. 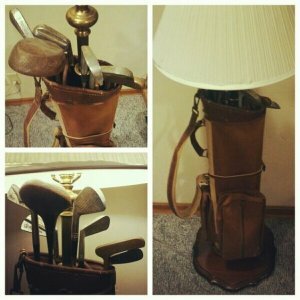 For the golfer on your list find a bunch of golf clubs and a lamp kit. Bundle the clubs together and run the lamp kit through the center. There you have it, a one of a kind lamp. You can never go wrong with classic sports movies, especially if you include popcorn and a movie marathon. For the person on your list who loves to be nostalgic here are a few ideas to bring out their inner child. 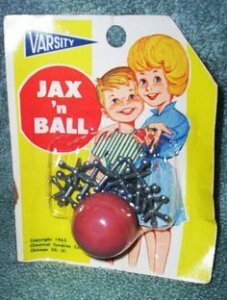 Toys they played with from childhood like jacks, dolls, and board games. You can share memories of playing with the toys from your childhood with your family. Cartoons such as nickelodeon or disney shows. If they enjoy older classic cartoons search for Scooby-Doo, Mickey Mouse or Donald Duck. Old candy machines or Pez dispensers. What kid doesn’t want their own candy dispenser, you find anything from the small desk size to the real ones they use in stores. 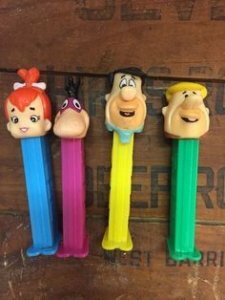 Pez dispensers are a classic collectors item for the candy lover. Pez dispensers are a great gift. 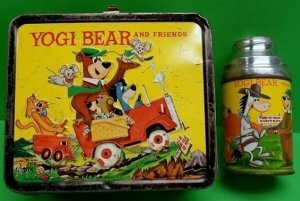 You can find old lunch boxes like they had as a child or one that has pictures of something they like. Instruments, put a child in front of a instrument and the first thing they do is try to play it. It would be something fun to do and a great way to spend family time. If they don’t know how to play it, maybe you could teach them or get them lessons. Now that’s something they’ll remember forever. If a person on your list has a group of a particular item, they might be a collector. For the numismatic (coin collector) in your life coins can be found in almost every shop. Check the bottom of glassware for specific names of companies. Search for the one the person on your list loves. Old keys made into charms. You can carve motivational words or short phrases on keys. String a piece of leather or a chain through the holes to create a unique necklace. For smaller keys you can run a piece of wire through it and use it as a charm on a bracelet. 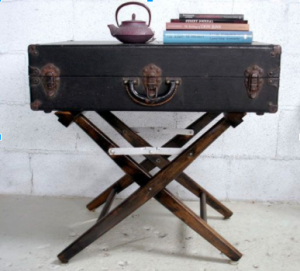 For the collector who loves to travel turn an old suitcase into a shelf for their collection or put it on legs and make it into a table. 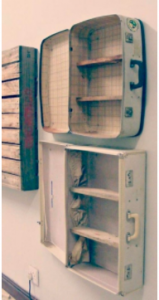 Suitcase shelves are a fun project to create space. 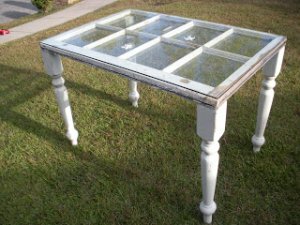 A window table can create an amazing center piece. Has someone on your list mapped out their family line? Do they love to share everything about their family history to anyone who does or doesn’t want to listen? If so you might know a genealogist. 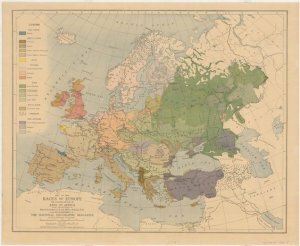 Buy a map of the USA or even the world and use tacks to plot the path their ancestors traveled. Lockets are always worn close to the heart because they hold pictures of those we treasure the most. Give them a locket and let them search through old family photos, and choose the one they like. 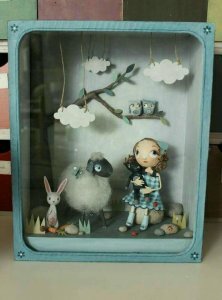 Find several items that represent their family, such as piece of old wood if they were builders and make a diorama box. use fabric from old quilts or clothes to create something special for display. Find an old window with the glass still in good shape. 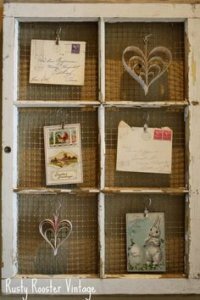 Use chicken wire or or cardboard to hold the pictures in place. You could even get bonus points if you can find a window from an old family home. create a unique picture frame. Quilts takes hundreds of hours to sew properly, this is what makes them so special. Look for quilts that have uneven stitch patterns which usually means they were hand sewn. If you have old family quilts you could gift one, or if you are handy with a sewing machine or a needle you can get pieces of clothing from different family members and sew it into a memory quilt. Motorheads are those that usually spend more money on their car then their house. An Antique shop, Flea market or a Junkyard would be a great place to locate a gift for the motorhead on your list. Old license plates are fairly easy to find. Buy several with the letters from the person’s name, or a word they love. Cut out the letters you need and put the word or name on a piece of lumber. 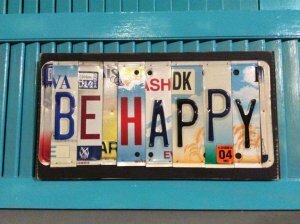 license plates make it easy to create words, phrases, or names. If the person on your list constantly talks about wanting a particular car, give them a model car. You can find gear shifters cheap at junkyards. Attach several to a piece of reclaimed wood and you have created a one of a kind coat hanger. Create a interesting piece from discarded junk. Find an old tailgate to a truck, so you can attach legs to the bottom and use it as either table or bench. 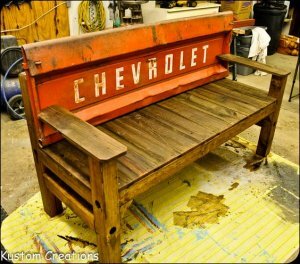 Repurpose an old tailgate into a fun love seat. 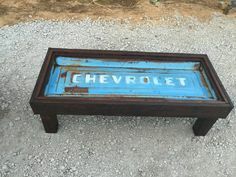 Frame out a discarded tailgate to repurpose into a table. If you use a used bike chain you will probably have to soak it in some kind of cleaner in order to get all the oil off of the chain. Run a strand of hanger wire through both ends as a result there is something to attach the chain to the wall. 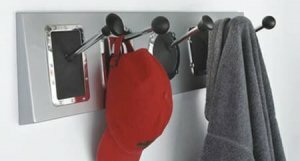 This makes a unique towel holder or toilet paper holder for their home. There is always one member of a group that is the self described foodie. This is the person who probably knows every restaurant in the area and their yelp ranking. Old grinders of any kind are super handy to have around the house. With a coffee grinder the person on your list in addition might find it handy to grind up some herbs and spices. 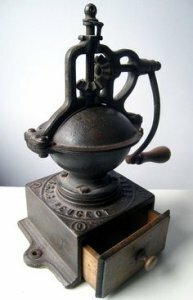 Antique coffee grinder can have multiple uses. A good cast iron pan is a must have for any cook. They are super durable and flavor food wonderfully, opposite new pans which are easily scratched. 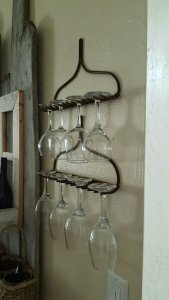 If you are looking for something with a country feel you can use an old rake head to hang wine glasses. Furthermore picture the look on their face when they open their gift and it’s a rake head inside. 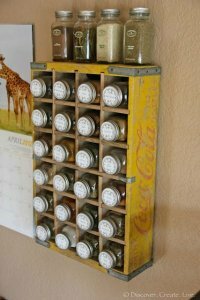 Old wooden coke or pepsi boxes are already sectioned off to hold bottles therefore they make great spice racks. The box just needs to be mounted to the wall and it is ready to have spices slid into the open sections. pre-sectioned boxes make perfect spice racks. Cook books especially older ones have a variety of recipes. If you have someone who loves to cook give them a challenge with the book to cook so many recipes in a week or even to change the recipe into a healthier, or vegan one. The most important thing to remember about the holidays is that it is not about the gifts. People get so caught up in cooking the perfect meal or finding the perfect gift, consequently they forget the most important thing. Holidays are about being together, so here are some great ideas to bring your friends and family together. Take your group to an Antique Shop, Flea Market or Thrift Shop and give everyone a list of items they have to find. In addition whichever team finds the most on their list wins a prize. Draw names and find something at an Antique Shop, Flea Market or Thrift Shop for a set amount of money. Go to a thrift store for an Ugly christmas sweater contest. Set a series of rather simple rules with a time limit and have a blast..
Look for old christmas movies and watch them together as a family while popping some popcorn in an old popcorn popper in the fireplace or on the stove. Spend the day visiting different antique shops or flea markets as a family and end the day with some delicious hot cocoa. While antiquing alone can be fun it is far more enjoyable as a family. We hope you find that unique gift for that special person in your life. 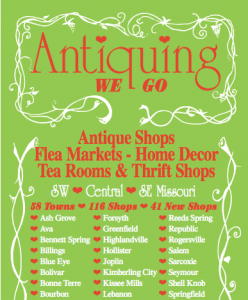 Have fun and let the shops know that “Antiquing We Go” sent you! Print out our brochure here and head out Christmas shopping and let the family memories begin and have lots of FUN! Please let us know what you find and the story behind what makes your gift so special and if you learned any neat family stories from your family or loved one. Happy Antiquing!